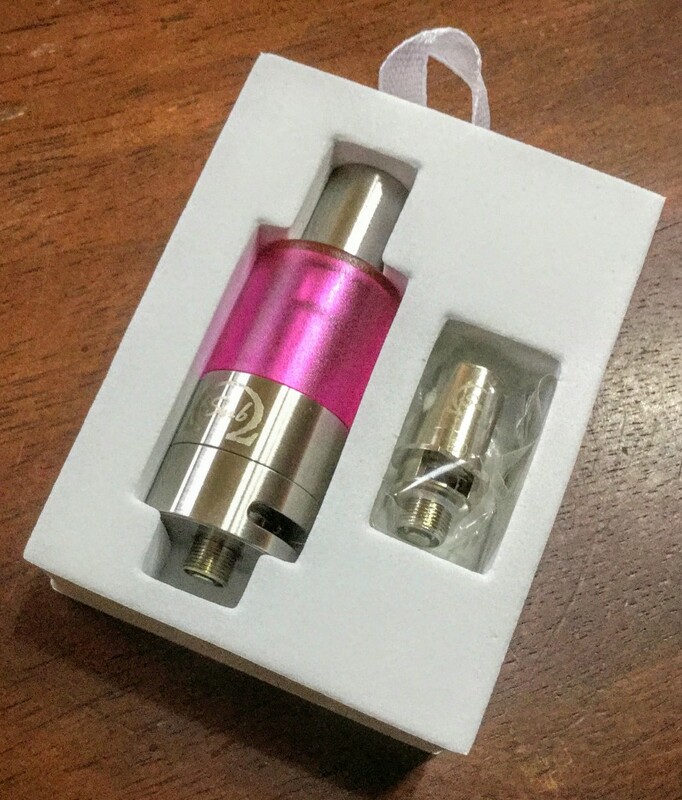 Disclosure: I received this product for review from Innokin. This review contains affiliate links. GearBest has some great prices on the Cool Fire IV and iSub Tanks. Higher-powered APVs and sub ohm tanks have been around for some time now. Ages in vaping years. Innokin already released one high-powered vaping device, the iTaste MVP 3.0, which never seemed to take off due to rumors of the MVP 3 Pro, short on its heels. The latest offerings from Innokin is a compact 40 watt APV released under the Cool Fire line and a sub ohm tank simply called the iSub, which lines up with the iTaste moniker. Like pretty much all things Innokin, they might be a little late to this game, but their entry is a solid one. 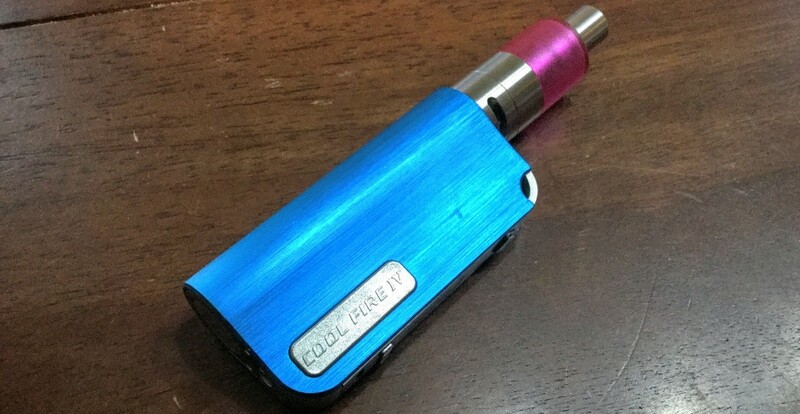 Available in several colors, the Cool Fire IV is a compact and curvy affair. The body is made from aluminum with an anodized aluminum shell. This device has a built-in 2000 mAh battery and charges via the expected micro USB port. There’s the typical beautiful OLED display along with a couple of tiny buttons for adjusting wattage or voltage. 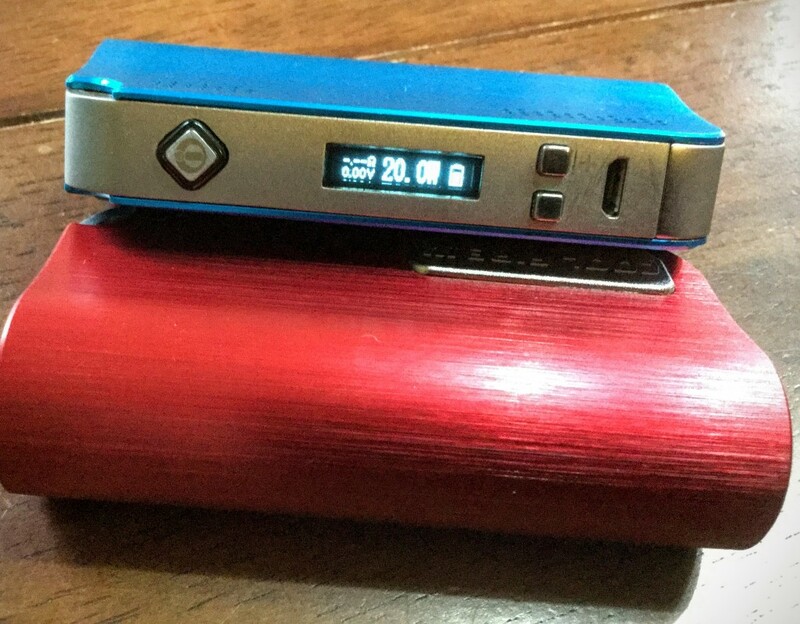 The button is a diamond-shaped affair and has a backlit ring behind it showing the typical Innokin colors indicating charge level. Build quality is as solid as you’d expect from Innokin, and the device is packed with the extra touches the company likes to put on their products. For example, there’s a hard on/off switch on the bottom of the device. You can also do the 3-click thing to toggle the power. The one drawback is unavoidable due to the compact size of the device. When you’re pushing up to 40 watts of power, don’t expect a lot of battery life. The only other complaint I have is that switching between voltage and wattage is done by holding the fire and + buttons at the same time for a few seconds. Normally, this wouldn’t be a huge deal, a set it and forget kind of thing. Except, when you drain the battery down far enough, the device switches itself to voltage mode. Check out the options and prices at Gear Best. Speaking of segues, how about that iSub tank? I’ll be honest here. I’m actually getting a tad burnt out on reviewing sub ohm tanks (and I’ve got at least a couple in the pipeline now). There’s not a lot of variation you can have there. That’s also true about the Innokin iSub, to an extent. It has the stuff you’d expect, a replaceable head with the heating coil nestled snugly in a bed of Japanese cotton. The heads are rated at .5 ohms. I guess they couldn’t call it an iSub if it were 1 ohm or something. But, there’s still some neat stuff going on with Innokin’s sub ohm tank. First up, they have a nice mesh cover over the coil (ok, so some other heads have that too). Probably the most remarkable thing is that the tank is a sort of unibody tank. You may also like: TECC V-Scope Review - Simplified Advanced Personal Vaporizer. Most tanks are a Pyrex tube that a top and bottom cap fit over. Innokin’s tank is sort of a unibody affair. There’s no top cap, the tank itself is the top of the device. There’s a cutout on the top into which the internal section of the tank meets up with the drip tip. This is accomplished because the tank isn’t Pyrex. Instead, it’s made of a thick polycarbonate. Normally, plastic tanks are a non-starter for anyone who uses e-liquids known for cracking tanks. My go-to liquid, Ecto Cooler from Mt. Baker Vaper, is a notorious tank cracker. That’s not the only trick the iSub has, however. It’s also got an interesting easy swap head system. The bottom portion of the tank is a two-piece deal. The very bottom contains the airflow adjustment air holes and band and detaches from the top part of the bottom section. When you unscrew the bottom section, it reveals the head. You simply pull the head out and drop a new one in to replace it. Remove the entire assembly to get at the tank and fill it with up to 4ml of e-liquid. I have to admit, that’s an unfortunately handy feature, being able to easily swap out the head. The heads in the iSub tend to be sensitive. The box says they work from 20-35 watts. I found for extended use it’s best not to exceed 25 watts. The heads are just susceptible to dry burn. And once you get a dry hit out of them, they never quite seem to be the same again. Running at 25 watts, these tanks aren’t going to be the crazy performers the ultra-high wattage tanks like the Atlantis 2 are going to be. It’s also not shabby. There’s plenty of vapor that comes from the Innokin iSub, don’t worry about that! It’s a very respectable tank that is very well priced, and it even comes in colors. Check out the selection and prices at GearBest and get yourself one if you want to stand out.